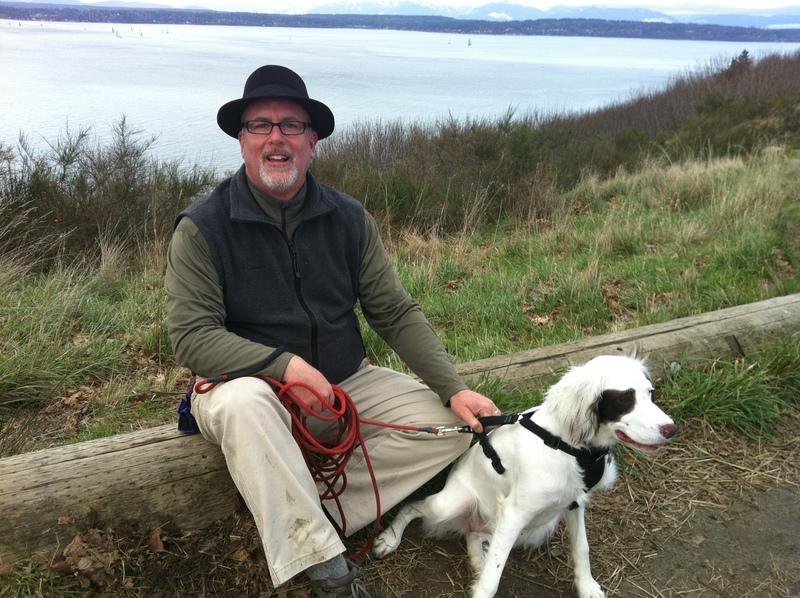 I want to welcome Brian Braden to the blog today. Now retired from the military, he served as an officer in intelligence and as a combat helicopter pilot. In addition, he’s been a corporate executive and a freelance columnist featured in defense publications including Military Times and Air Power Journal. Brian and I know each other in our work at Author Salon where we support and critique each other’s work. So I speak from experience — the man can write. Brian also writes regularly for Underground Book Reviews. 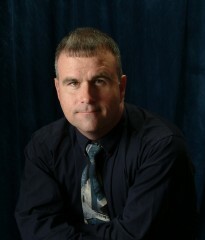 He is the author of CARSON’S LOVE, a novelette about a family’s struggle with childhood cancer. His current project, BLACK SEA GODS is an epic fantasy, the first in a series and a novel I can’t wait to read. Brian, thanks again for joining me. From the perspective of someone who flies aircraft with actual wings, my discovery of your helicopter experience leaves me a bit humbled. It certainly takes a level of courage to fly what is essentially a controlled crashed landing called a helicopter. But to fly one in combat, well, thank you for your service. How does your military and flying background influence your writing? First, thanks for inviting me to your blog. Many years ago, as a young man in high school and college, I had the writing itch. But when I reached deep inside for inspiration my bag was empty. I hadn’t experienced enough of life’s ups and downs. I wanted ups and downs. I craved ups and downs. I wanted to look back and be able to say “I did that.” Don’t misunderstand me, I wasn’t looking for thrills. I was looking for meaning, an uncompromised life. The military exposed me to undiluted people. It allowed me to experience places as they are, not as they appear from a tour bus. Flying, especially military flying, taught me life and actions have consequences. Everything has a cost, and those costs must be factored. Ignoring facts can have instant and devastating consequences. I think it brings realism, an immediacy and leanness to my writing I don’t think I’d otherwise possess. I’m always curious about what jazzes creative artists. Where do you find the inspiration for your writing? I find my inspiration in unexpected moments, whether it’s a word, a scene, or a phrase that grabs my imagination and won’t let go. They are like grains of sand caught in my mind. I worry them, rub them and start to lay down layers over them. Soon, in my mind I build entire stories around that flash of inspiration until I finally commit them to paper. Most of these unexpected moments concern people. When I meet a new person or see a stranger with a unique personality trait, I commit them to paper, like a catalog. This isn’t just a catalog of characters, it’s a catalog of story ideas. A story may be built around an idea, but in the end it’s the person, the character, that sells the story to the reader. On Underground Book Reviews you constantly scour the 99 cent digital shelves. Have you found any gems in the process? Three indie authors instantly pop into my mind: Michael Manning, author of the Mageborn fantasy series; Bryan R. Dennis, author of the sci-fi book The Uncanny Valley; and Michelle Isenhoff and her YA novel, The Quill Pen. These self-published authors created books that, in my opinion, stand equal to anything generated by the traditional publishing industry. I’m stunned how any agent or editor could read their work and pass it up. There is some seriously good stuff lost in the background noise on Amazon that deserves our attention. If I were an agent I would bypass the query process and just surf the self-published authors to find projects to represent. I cannot for the life of me understand why the Big Six publishers don’t use the self-published treasure trove the way Major League Baseball uses the farm teams. What do you find to be the most challenging thing about being a writer? And how do you cope with that challenge? That goes back to your last question – the most difficult thing about being a writer is trying to make sense out of this industry, trying to figure out what is fact, what is myth and who you can trust. This particularly applies to the traditional publishing side. In fact, trust is the key issue that bugs me the most. I’m slowly coming to grips that publishing is really show business. That concept is somewhat daunting, because much of your success is out of your hands. It brings to mind when I once had a beer with legendary ace Chuck Yeager. I asked him why he was so successful in his career. He replied it wasn’t so much having the Right Stuff, it was a lot of luck and being at the right place at the right time. I think getting traditionally published is a lot like that, even if you do have the Write Stuff. How do I deal with it? Research, prayer, coffee, perseverance and occasionally walking away from the laptop. I won’t quit and I won’t compromise my values. Eventually, good things will happen, maybe not this year, maybe not next, but it will happen. What do like the most about being a writer? Other writers. Writers are like cats. We’re not herd animals, but we do occasionally congregate at midnight and swap stories. And what stories! We military personalities usually run only one standard deviation either side of the Army…Marines on one side and Air Force on the other. To say writers are a bit more diverse is an understatement. At the Algonkian Conference in New York in December I was thrust into the company of dozens of writers for the first time in my life. And we had beer. I was in culture shock and I loved it. The creative energy was phenomenal, overwhelming. It felt like a drug. I want more. Specifically, I think my fellow writers at Underground Book Reviews are absolutely the best thing that’s happened to me since I started writing. If my writing never pans out I will still have UBR. Having read your writing, Brian, I don’t think you need to worry about the writing thing not panning out. So, tell us about your current project, BLACK SEA GODS. Black Sea Gods is an epic fantasy based on a very ancient mythology from the Caucus region of Asia. This mythology is probably the foundation of the more familiar Greek and Scandinavian myths. The mythology provides the foundation and binding for the story, but what it’s really about is two men. It tells the story of a fisherman and a demi-god, two men trying to save the people they cherish from an enemy, a force, they don’t understand and they can’t fight. In BSG I wanted to write a different kind of fantasy, a genre I think has grown somewhat stale in the past ten years. First, I didn’t want a dark book. I’m tired of dark. Second, I didn’t want to write a YA novel. I love YA, but I wanted a book that adults, especially parents and spouses, can relate to. You have two protagonists, one, a human named Aizarg and the other, the demi-god Fu Xi. Tell us a little about Aizarg. In the excerpts I’ve read, I found Aizarg to be a compelling character facing extreme adversity. What drives Aizarg on against all odds? Aizarg is a father, a husband, and chief of primitive tribe called the Lo. Aizarg is loving and flawed, but no worse than any other family man. My inspiration for Aizarg came in 2008 during the beginning of the global financial crisis. I wanted to capture that kind of fear and put it in a fantasy/mythological setting. It’s a slow-roll terror. He knows something bad is coming but he doesn’t know how to stop it. He feels powerless, even as everything around him seems okay for the moment. The sky is blue and the world looks like it should, yet everyone knows something wrong, something broken, something very bad is about to happen, but when and how is still a mystery. He looks at his wife, children and people and wonders how he can protect them. Fu Xi is an actual figure from Chinese mythology. How did you come across this mythology and how do you make the translation to a western audience? I found Fu Xi accidentally when researching Black Sea myths. He is purely a Chinese myth and plays a role in the founding of ancient China. China has amazing mythology which has directly influenced western thought, mythology and history since the dawn of civilization. I can’t really say too much on this without giving the series away, but when I read about him I instantly latched on to the Fu Xi myth as a way to glue my story together. We think of China as an ancient culture, but it was once young. Fu Xi represents that youth, even though he is a god. Fu Xi and Aizarg will eventually develop a bond, a brotherhood. Perhaps it more accurate to say it is more like father and son. In the course of extraordinary events and drama, both will have important lessons to teach one another. 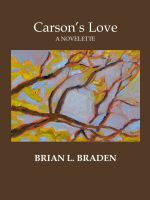 Brian, you have a novelette entitled Carson’s love, which is the first in a series. Tell us about Carson’s Love and the series you have planned. Carson’s Love started as a writing exercise. I wanted a piece of flash fiction that was first person, present tense. I’d been seeing a lot of that in my writing circles, so I decided to give it a try. 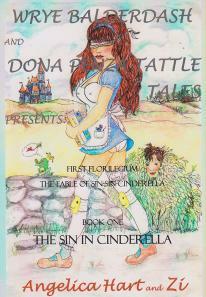 I developed into two separate short stories about a family dealing with both marital problems and a child with cancer. One short story is from the husband’s perspective, the other short story is from the wife’s. I fused them into a novelette. I got the idea when my own child was fighting cancer and I read a pamphlet in the hospital about dealing with a child’s cancer while undergoing a divorce. I said to myself, “How can someone undergo a divorce while their kid is fighting for their life?” What a great idea for a story, I thought. I never originally intended to publish Carson as a novelette, but I needed to stick my nose into the self-publishing business to understand how it works. I wanted to make my mistakes on a small project, like a novelette, instead of a big project like a novel. Carson was like my Voyager space probe, launched into the abyss that is self-publishing. Through it, I learned how to edit, find an artists to do the cover, submit, etc. The real hard nut to crack is marketing. That’s why I’m writing a sequel, as an attempt to understand the ins and outs of marketing. I plan to release several sequels to the Carson saga over the next few years, not unlike how King originally released his Green Mile series. A part of the proceeds from sale of this book goes to Cure Search. Can you tell us a little about Curesearch and why you wanted to direct a percentage of the profits to that organization? What few people know is organizations like the American Cancer Society do very little for children’s cancer. No drugs have been developed specifically to fight children’s cancer. Their justification is the ratio of adult versus children’s cancer doesn’t justify the dedicated resources. Most pediatric cancer treatments are “hand-me-down” drugs, adult chemotherapies and such adapted to children. CureSearch aims to change that. CureSearch for Children’s Cancer is a national non-profit foundation that supports clinical trials and research in hospitals across the United States, funds research, and conducts fundraising. To findout more, go to http://www.curesearch.org/. Due to my family’s experience with childhood cancer, this is a cause near and dear to our hearts. I hope readers will go check Carson’s Love out. Thanks for sharing with us today. Is there anything you’d like to add? I greatly appreciate you inviting me onto your blog. If your readers want to read more of my stuff, they can read my review column, Brian’s 99 Cents, on Undergroundbookreviews.com, stop by my personal blog at brianbraden.weebly.com, or buy my novelette, CARSON’S LOVE. CARSON’S LOVE is the first installment of a novelette series, with the second installment, CARSON’S LINE, coming out later this year. Cathy Coburn tagged me for a little thing called the 777 challenge. I will post seven lines from page seven of a work in progress and then tag seven other writers. Because I’ve never been good at coloring inside the lines, I’m changing this up a bit. How about the first seven lines of the work or seven lines from page seven. I want to introduce you to some great writers, so I’m tagging them and I’ll leave it up to them if they want to post some lines. But do follow the links to their blogs or websites. Sure, we die; we always die, but this time something’s gone wrong. Our algorithms pointed to the burning of the Great Library of Alexandria in 642 AD. Ryan and I Inked into the consciousness of the right people 1369 years in ancient Egypt’s past. We stole the Al Chemeia papyrus scrolls for their alchemical formulas. Our plan should be working without a hitch. Instead I’ve got a very large Islamic warrior in a fighting tunic covered in blood and dirt, yelling at me in a voice, oddly reminiscent of 20th century New Jersey. I’m excited to have Angelica Hart and Zi in the blog house for an interview. To say these two authors combined, have been prolific, is a bit of an understatement. Between them they have thirty seven titles published and over five hundred shorts in various magazines and newspapers. And the awards! EPPIE finalist for three books, Cecil Whig award, Hob-Nob Reader’s Choice Award, Champagne Books Novel of the Year, Champagne Books Author of the Year. They write mystery, suspense, sci-fi, and fantasy and twelve of those books I mentioned mix one of those genres with romance — what fun! Thanks again for being with us today. I want to get to your upcoming book CHRISTMAS EVE…VIL, but first let’s talk a bit about you both and your work. A: We’re tickled to be here. (Pulls up a cyber chair, sips her chai latte and looks for the chocolate, loving the no cal zone of cyber land) We adore doing interviews. Z: What a wonderful summer day to be crawling around the attic, running wire for a new ceiling fan. I am so glad that this interview has availed me the opportunity to stop sweating to the point of you-gotta-be-kiddin’-me. So with grand sincerity, thank you Richard Hacker for allowing me to sit in the air conditioning. A writing team, while more the norm in the screenwriting world, is a little more unusual among novelists. How did this partnership begin? And why do you think it works so well? Z: T’was a gloomy Thursday when a sudden crack of lightning startled me, followed by a maneuver of my black Volvo swerving to avoid an ominous rain puddle. The effort went for naught, and water was forced up the underside of the engine, mist and steam rose and the need to pull the car over was eminent. By some act of divine intervention, I found myself in the parking lot of Borders Books. A big yippee-ki-yay for any book fan. I trudged and dodged through blankets of water — a veritable downpour with hellacious lightning and stomach’s butterflies scared by thunder crackling about me as if the world were about to split apart and I would fall into an abyss. Managing to enter, I paper-toweled myself dry in the men’s room then returned to the sales floor. I noticed a woman manning an area of the cafe, perched on a high stool, touting her art work. She was Angelica Hart. The ensuing conversation went something like this: Hey…hey…nice art…thanks…are you interested in illustrations…yes…give me your card…here…thanks, I’ll call you…Do. There it was. Left the store to a world that was bright and sunny, filled with possibilities. And eight years later, it’s still sunny. A: The meaning of kismet happened that day. Z: Furthermore, in the eighties sitting just west of Jackson Hole, Wyoming in the grassy foothills at the base of the Grand Tetons, looking across the Snake River at a bull moose I began to read a piece I had just written in my journal, out loud, for the moose to hear. Yup, did it! I learned the moose was not my audience as he meandered deeper into the high grass but I was not discouraged and continued at the top of my speaking voice. About seven feet from me sat a molting coyote engrossed in my presentation. Its eyes held me as if a pup or its suckling mother and I felt one with that energy. Stunned that it did not run, amazed at its calmness in the face of my presence I continued. When I was done, the canine rose, walked next to me, rubbed its matted fur on my arm, passed, and it was lost to the high grass. It left upon me its musk, telling me I was one of its pack. In the capture of that moment in time, I felt validated as a writer. Years later, sitting over coffee, talking about writing, I felt that same validation again, and that person was Angelica Hart. I understood destiny. A: Everyone has felt that thing that has been called the click, and the ease at which that happens. Zi and I purported from first instant was astonishing, there was an immediate synergy that told me that one and one equaled three. I read his work, was moved. We lamestormed which is our practice of presenting ideas and deeming them lame or not. Of twenty ideas, ten from each, not one idea had merit. Our potential partnership stalled before it started. Then in an email, Zi sent me a touching fantasy love story, where a Mage stole a young man’s heart so the woman he loved could soar. He gave it willingly. I cried. I understood destiny. It can’t be all fun and games, can it? What do you find to be the most challenging thing about being a writing partnership? A: Yes, it can. Be a fly on our wall. 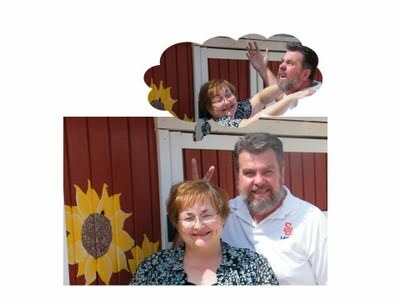 Some readers are when they visit Dawn’s Book Nook on Thursday mornings, our weekly article is titled WRITERS WRITE…WRITING PARTNERS FEUD , and you’ll know we laugh a lot. We battle a lot. Not warrior battle, but the sort of battle to always get the best out of each other. The battles that require water pistols and paper ball hand grenades. It’s always about the story, what will make it better. 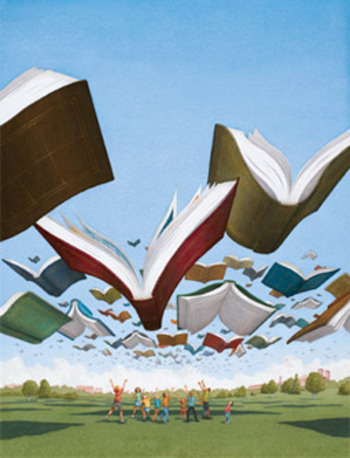 It’s about the reader, what will they enjoy. And it’s about cookies…. When all else fails, break out the cookies. Z: One of the first tenets that we put in place before we ever shared creativity was that we would agree to agree. This means we would argue our point of views but the story had to will-out and we would not be so selfish as to pout or sulk. Having said the afore, Angelica sulks and pouts…far more than any human I have met. Z: Angelica I am so sorry, I was so boldly honest. Please forgive me. A: That’s better! Where’s the cookies? Here’s a question I think writers who struggle to find a genre niche and curious readers will want to know more about. You have a number of titles that include mystery, suspense and sci-fi fantasy combined with romance. What is it about romance you find so compelling? A: For me, it is because I was brought up on the princess fairy tales, the ultimate romance of the beautiful damsel and the brave, strong knight. Only problem was that the bleepin’ princess was ooohhh, ahhhh, I need to be rescued, and even as a child, I decided to get out my crayons and let the princess shine. She would rescue the prince, slay the dragons, and whip up a mean chocolate Sundae to boot. In the end, though, I adored the struggle, the emotions, the happily-ever-after, and still do. Z: Romance is an omni-present force in everyone’s life. We all crave it, but from time to time struggle to comprehend it. The reasons we desire another and pine for lust are important. I have been ultimately privileged to read every day another’s sojourn; Angelica can touch a place in humanity that defines those powerful feelings without ever being tawdry. This is amazing. Of course, there are those tactile hands on (ha-ha) moments that we hope that we have crafted, are entertaining. The compelling part is that by considering the import of romance we make our understanding of human nature deeper and more complex. Having said the afore, I adore entertaining women. It’s always interesting to know what authors read. What are you reading these days? Any favorites? A: Books are a passion of mine and with the Kindle I fully indulge that passion. I usually have two to three books going at once, one in the form of a CD for the car (currently reading Darkly Dreaming Dexter by Jeff Lindsey) another CD in the house while doing this and that (Son of a Witch by Gregory McQuire)and then there is the reading before bed book (After the Mist by Cathy Coburn and Duaine Neill – A Champagne Book), and the family room book (I, Robot by Isaac Asimov.) Then, of course, there are the mags…Discover, Woman’s World, Writer’s Digest…. Hmmm, think I better stop there. I mean, you might think I’m compulsive or something. Z: Reading…ahhhh…most recently a wonderful recipe for sweet and sour meatballs, which I made and subsequently amazed my company. My neighbor’s palm insisting that she was going to meet an intriguing gentleman. A series of blogs about the Eagles, 76ers, Flyers, and Phillies. Did I enter comments? Does a fly run into a glass window? A little Stephen King for the humor of it all and emails to and fro to my daughter and son-in-law. That was the last three days. If you could go anywhere, do anything, where would you go and what would you do? A: Exactly where I am and what I am doing. We get to laugh and joke and become awed by possibilities, cry at sorrow, experience drama, travel the world and spin magic with words. What is more adventuresome or glorious then that. Besides that, being with my family and being amazed that I am so blessed. Z: I would buy into Einstein’s understanding of time relativity, and find myself a portal and return to those twenty-seven missed moments of my youth and discover if doing it differently, made a difference. I would have never got caught peeking in the girl’s locker room, I would have kissed Amy who wanted to be kissed, and I would have never jumped up into the go-go dancer’s cage and danced with her. (Note: The last one got me arrested!) Dag. Z: The alter egos of Dona Penza Tattle, Esq. and Associate Wrye Balderdash, who also write a column for the Champagne Books Newsletter, Bubbles-n-Bits, are the authors of the afore pieces. Their personalities dance right on the edge of risqué profane. We like that…they’re fun. CHRISTMAS EVE…VIL, comes out soon. Sounds like a good winter read. Tell us about it. A: (Clears throat) Anya Petrichona, the guardian of an ancient amulet that permits entry to the supernatural realm, is pursued by an maniacal preacher. While seeking refuge in the New Mexico Mountains, she becomes snowbound with the enticing and gallant Luke Calico. Z: (Hums a few bars of Jingle Bells) As Christmas Eve approaches, Anya’s and Luke’s ardor sizzles even as the preacher’s malevolence henchmen encroach. Survival depends on Anya outwitting the preacher, bent on abusing her powers, and resistance to a seductive, demonic spirit. A: Though she does not resist Luke’s seduction. Z: That’s cause we wrote it that way! A: Noooo, it was meant-to-be that way. The characters said so. 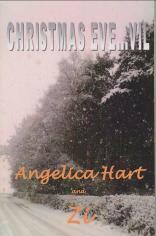 A/Z: At CBG: http://champagnebooks.com/ and/or http://angelicahartandzi.com as well as Amazon. Thanks for sharing yourselves with us today. Be on the lookout for CHRISTMAS EVE…VIL. Angelica and Zi, may your successful work together continue to grow. Before we finish, is there anything you’d like to add? A: There is something so splendid in knowing that a reader has been transported to another place, has dipped into the sensual, explored things that do not exist, has found a place to escape. This world has its challenges and sometimes the need to stop the spin and find a haven can be great. If we can create just one special moment, one bit of comfort, balanced with smiles and tears and the belief that they too have been well-loved, then we have done our job. Z: Also, thank you so much for having us, and we look forward to adding your book, TOXIC RELATIONSHIP to our TBR pile when it comes out in August. Sounds awesome! Read a story today about the author of Ready Player One, Arthur Cline, is giving a prize away for any reader who can find a clue in his novel, then successfully navigate three challenges in an online video game at a specific web address. The contest sounds kind of cool. Much more skill based than say Willy Wonka’s Chocolate Factory. All you had to do to win that one was be either seriously lucky or a glutton. Cline’s contest involves some detective work to find the “Easter Egg” as he calls it, then be pretty decent at gaming. Most authors give out copies of books and other low cost swag for a contest. But not Cline. He’s giving away a DeLorean. 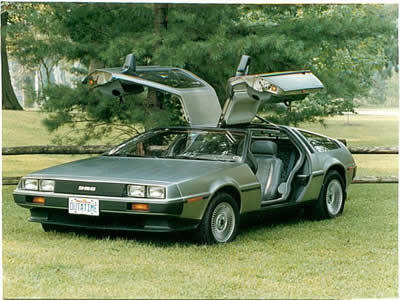 That’s right, an honest to god DeLorean he picked up on eBay. So you’re probably wondering if there’s a catch. How can this be? Find a hint, win a video game and get a car? The only catch I can see is that if you win, you’ve got a DeLorean. Not the most high performance car ever built — not even in its time. But at low speeds you could cruise downtown and I imagine, once parked, you’ll gather a crowd. I appreciate Cline’s marketing initiative on this one. Every gamer into his book will want a piece of this action. USA Today, and I’m sure other news outlets, picked up the story. And people like me have just written blogs about it. My gull wing door tips in your direction Mr. Cline. Now that he’s raised the bar, I guess I’ll have to start buying cool stuff to give away as prizes. What’s the best author contest you’ve ever seen? And if you received a prize from an author, what would you want it to be? As I may have mentioned, I’ve got a novel coming out in August published by Champagne Books. 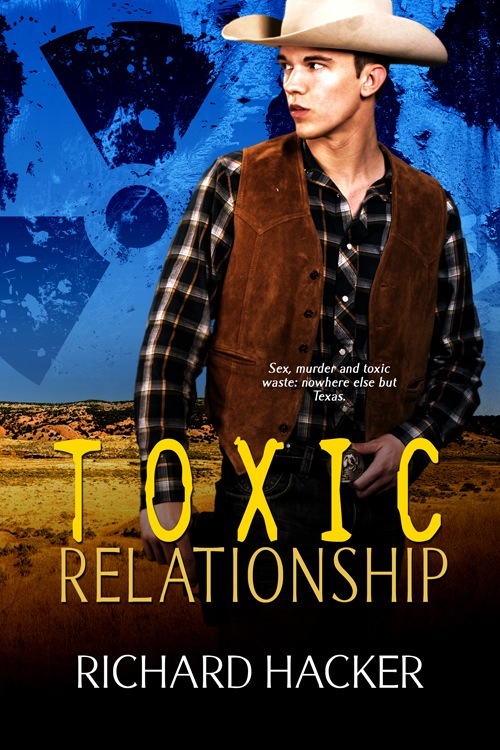 TOXIC RELATIONSHIP is a thriller with a humorous twist set in the Hill Country of Texas. My protagonist, Nick Sibelius, moves to the small Texas town of Pflugerville, turned Austin suburb, to set up a private investigation business, find some peace and maybe, himself, after a murdered partner, a cheating wife and a lost job in Houston. When a young couple disappears and a bass fisherman turns up dead, he finds himself drawn into a web of toxic relationships: MaryLou, a beautiful woman with a mysterious past, Junior, a failed farmer whose best intentions seem to always result in a dead body, and Barry, a sociopathic dentist turned illegal toxic waste and methamphetamine entrepreneur with visions of grandeur. When the felon who killed his partner in Houston joins forces with Barry, Nick must not only stop the toxic waste dumping while finding his client’s missing daughter, but keep from being killed in the process. In the end, MaryLou’s dark secret will either help him or kill him — whichever comes first. I’ll be posting occassional stories about writing this novel, pics, backstory, character descriptions as the publishing date draws near. My hope is that the novel is as fun to read as it was to write. Just received the cover for my thriller, TOXIC RELATIONSHIP which will be released August, 2012 by Champagne Books. I gave the marketing team some very sketchy info, unsure myself what the cover should look like. I believe I said something like arid, toxic waste and airstream trailers. You see, I’m one of those people who has a very difficult time figuring out what color to paint a room. I eventually pick something out, bring it home and it doesn’t look anything like the color I saw in the store. So thinking about a book cover is way out of my pay grade. The designer, Amanda Kelsey did a great job of capturing a Texas feel and I love the graphics. Thank you!! Take a look. I have a constant writing companion who keeps me in the present, offers positive support day and night, stands by me on the good days when I’m writing like a demon and on those days where I just can’t seem to shift into gear, hangs out with me while I work, takes walks to clear my mind, licks me whenever the opportunity arises and brings toys throughout the day with the implicit contract that I will either: a. hold on to the toy while we growl at each other in a tug of war, or b. throw said toy across the room so she can hunt it down. Yes, my writing companion is a dog. A 9 month old English Springer Spaniel named Jazz. She’s a happy bundle of overflowing energy in a fur coat, always up for walking, running and playing. And to date, I have not found the bottom of her apparently infinite energy source. I’m thinking of hooking her up to the power grid to make a few bucks off the utility. Why Jazz? I met her when she was a month old and already she had that crazy, creative spirit of improvisation. This girl never plans anything. She takes live on in the present and makes it up as she goes along. Sometimes that leads to some unfortunate choices. Besides “here Jazz,” my most frequent comment to her is “leave it.” And to her credit, she doesn’t always listen to me. Sometimes I want her to “leave it” because “it” is gross and nasty. But sometimes I just don’t want the hassle — a piece of electrical tape, a quarter of a torn up tennis ball, a snail, a clump of grass, a flower — the list is endless. Sure, four out of five humans think chewing on a clump of grass will lead to dirt in the mouth and muddy paws in the house. But five out of five dogs know the pure pleasure of sweet grass, musty soil and mud between the toes. I sometimes think I may have lost my mind to bring a puppy in the house. She requires lots of attention. However, I also know having her around keeps my feet on the ground. Writing can be a lonely business. A little unconditional love from Jazz goes a long way.